Shopping for Conan the Barbarian Pop! Vinyl Figures? Robert E. Howard's legendary hero is back with this Previews Exclusive War Paint Conan Pop! Vinyl Figure! Prepared for battle against Thulsa Doom, Conan is painted for war and wields the Atlantean sword. 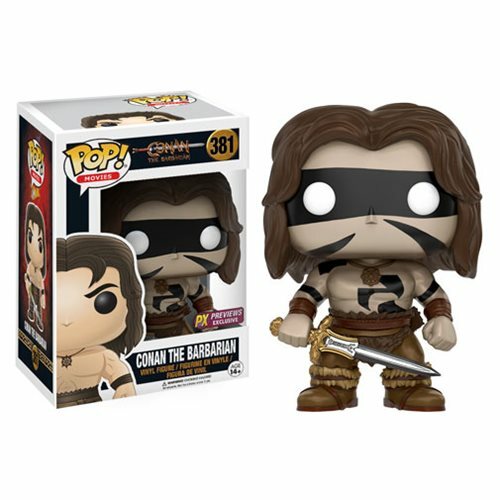 This Conan the Barbarian War Paint Conan Pop! Vinyl Figure - Previews Exclusive measures about 3 3/4-inches tall and comes packaged in a window box. Ages 14 and up.